Want to quit smoking? Vapes are one of the more recent stop smoking aids that have now become available and popular, and can help you quit smoking once and for all. Vapes are the devices which allow you to inhale and nicotine in vapor, rather than in the tobacco smoke you will inhale from traditional cigarettes. When smoking normally, the heat causes substances in a cigarette to change from solid to a vapor, and in cigarettes, this releases nicotine which in then absorbed in your bloodstream through lungs. It causes increased heart rate, constricted blood vessels and feelings of alertness. But because nicotine is a well-known stimulant, once it is not present any longer, you end up craving more which then leads to addiction. It only takes six seconds for the active compounds in a cigarette to reach your nervous system. These compounds consist of burnt particles which create tar in your body, and have cancer causing effects, they destroy taste buds and blacken teeth. With so many negative effects, smoking is considered injurious to health and this is where vaping comes in. It can heat the active compounds enough to become aerosolized, without a combustion reaction, then you can get fast effects without the damage of smoke inhalation. It typically involves a glass or metal chamber which has current passing through it. This way, it can be heated in a controlled temperature, creating a vapor with less combustion and therefore, inhaling significantly less amount of smoke. For e-cigarettes, using a liquid solution has become popular which contains water, nicotine, a base and flavorings and vaporizes at low temperatures. But Is Vaping Better Than Smoking? Many experts suggest vaping to be lesser of the two evils. A study has found that some toxic substances have up to 450 times lower levels than traditional smoking. Studies have also suggested that vapes have been shown to potentially help smokers to quit, or at least help reduce their habit. 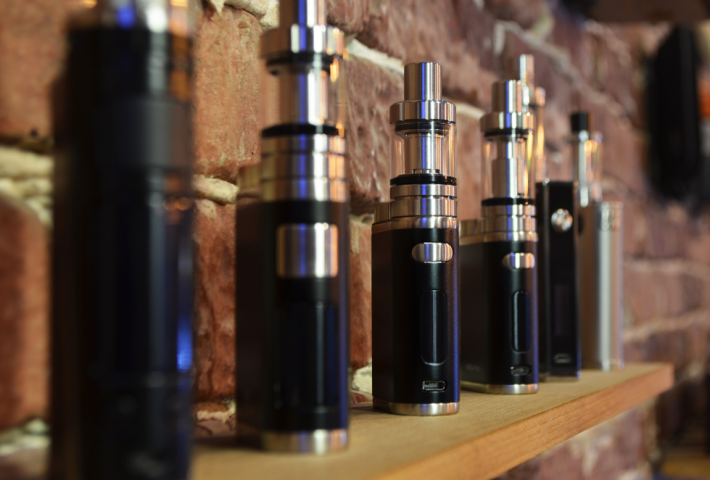 Other than that, the second-hand effects of vaping are far less harmful than cigarettes. Why Vape to Quit Cigarettes? Safer than smoking: According to Royal College of Physicians, vaping is at least 95% safer than smoking. Because there is no combustion, tar or ash associated with vaping, switching from it lets the user experience health benefits from being smoke-free, which means, better skin health, oral hygiene, circulation, healthy lungs and an enhanced sense of smell and taste. No odors: One of the pros of quitting traditional cigarettes for vaping is that you and your surrounding is not going to smell of smoke. Vaping has an aroma of flavors used but at least it is not the smoke from burnt tobacco leaves. Most of the time, smell of vapor isn’t even noticeable, and if it is, it’s not going to smell like the fumes from burning tobacco leaves. Control over levels of nicotine: One significant pro of switching over to vaping is that you get the complete control over your nicotine dosage. E-liquids are available in a various strength, from nicotine-free to high-level nicotine. You get to decide the amount of nicotine you want. To quit smoking, you start with high levels and gradually work it down to low levels. Control over vapor levels: Another advantage of vaping is having a significant control over the amount of vapor you exhale. Small devices are designed for low vapor and convenience, while high-powered mods are generally for cloud chasing. You can adjust the power output, airflow and coil type to fine tune your vapor volume. A wide range of flavors: When it comes to flavors, there is an endless variety you can choose from. With all these new flavors being creating all the time, you will never run out of flavors. Some of the popular flavors include desserts, fruits, beverages, menthol, foods and tobacco. No experience required: There are countless options out there which require no prior experience for vaping. There are some advanced products, but there are also many that are for beginners and devices like beginner vape starter kits are good examples. Availability: Now, vaping is more accessible than it was when first started. Today, you can find vapor products in smoke shops, gas stations, convenience stores and vape shops. There are also online vape shops that deliver whatever you require, right at your doorstep. Reasonable for your pocket: No matter your budget, there is a vape product out there for you. Since the market has expanded in the last few years, there are plenty of products in every price range, from disposable e-cigarettes to vape mods. Instant satisfaction guaranteed: While all vapes need a charged battery and e-liquid to work, an average vape can keep you company throughout the day with no or little maintenance. Thus, you can quickly silence your cravings. Want to know more about vaping or get a vape that best suits your need? 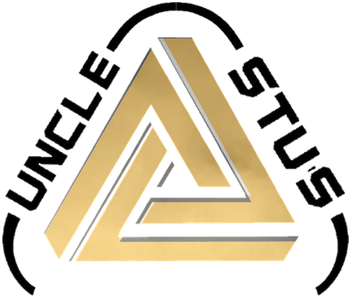 At Uncle Stu’s Smoke and Vape Shop, you can find a wide variety of vapes and vaping products, from starter kits to high-powered mods, we have everything you will ever need. If you aren’t sure which vape is for you, let our staff help you choose the best for your needs. Come visit us at our locations in Algonquin, Carol Stream, Lake Zurich, Romeoville, South Elgin or Aurora! Is Vaping Better for Your Smile?